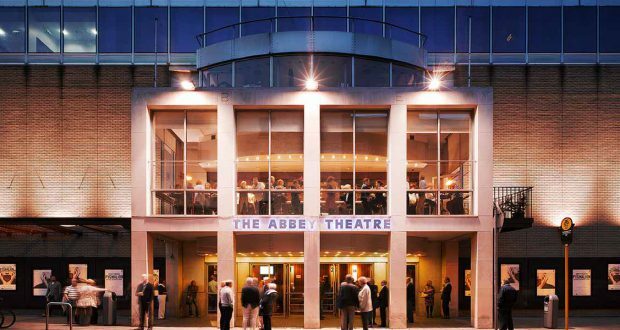 The Abbey is now is creating fewer jobs, for shorter periods, for artists here by cheaply buying in touring shows and by allowing independent companies to take over the contract and wage responsibility in co-productions, driving down wages by up to 25%. The company used to employ its’ workforce on three month contracts with higher wages. Despite this, the Abbey still receives 50% of the available state funding for theatre. However, because it is funded to produce shows and provide development opportunities to the artistic community, the arts council on Tuesday froze €300,000 of funding until it can prove that it is meeting this agreement and paying the actors, designers and other staff at their rate. In response to this an open letter expressing “deep concern and dissatisfaction” with the theatre, printed in the Irish Times and delivered to minister Josepha Madigan is significant. This letter was signed by 312 people and supported by many more including Ruth Negga and Love/Hate actor Tom Vaughn. It is also significant, as Denis Conway pointed out on RTE radio, because many people are afraid to speak out in case of repercussions; a valid issue in an industry so heavily network based. The directors of the Abbey, Graham McLaren and Neill Murray replaced Fiach MacConghail in the wake of “Waking the Feminists”, a campaign opposing the sexism in theatre sparked by the backlash against MacConghail. This was after no women were programmed as part of the theatre’s 2016 programme. The new directors also claimed to have inherited a €1.4 million deficit at the theatre as they promised to diversify and rejuvenate its programme. This deficit claim has been retracted since the letter was published, as it now appears to have been spin which was used to introduce a profit driven model with the appearance of diversity and increased audience engagement in order to gloss over what that meant for workers. The critics of the theatre are being labelled as “xenophobic” for raising issues with touring shows which is a false and slanderous accusation. There is a difference between venues that receive shows and venues which produce and develop their own shows. There should of course be inclusivity of different sections of society, but that should not undermine decent working standards for any worker. It is clear that the issues with the Abbey reflect a broader frustration with the fact that artists are undervalued and underpaid. In 2016, there was increased discussion on the issues around arts funding, and even before the crash, artists were on average earning less than €15,000 per annum. This issue has been bubbling under the surface for many years, and the addition the move towards privatisation in the Abbey is causing this to come to a head. Theatre Forum will release the findings of its Pay Scales survey, which will no doubt make for stark reading. Josepha Madigan looks forward to a “mutually satisfactory outcome” between the Abbey and theatre practitioners, not acknowledging that it is her department that should be responsible to ensure that artists receive a living wage and that employment is available to them. Even if the Abbey brings back better wages and contracts for theatre workers, it won’t be enough as it still won’t address to what extent the public can engage with the arts, be it through high ticket prices, payment for lessons or access to facilities. These should not be relied upon as the “anchor” for decent wages and contracts for those working in the sector. The idea of an “Arts Strike” was floated in 2016 and should seriously be looked at again now. While the signatories of the letter need to be supported in their stand against this race to the bottom, it is important that this is taken as an opportunity to get artists and arts workers to unionise and be active in a campaign that challenges lack of arts funding as a whole. This is a by-product of a capitalist society where tax cuts for big business are prioritised, not our needs, including the denial of ordinary to develop their artistic talents.